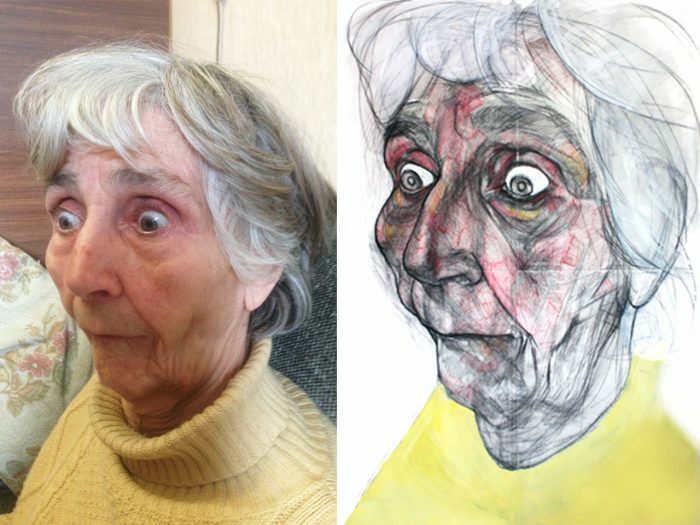 GRIMACE – is a personal project, which consists of a collection of big sized portraits made with different drawing and textile techniques. 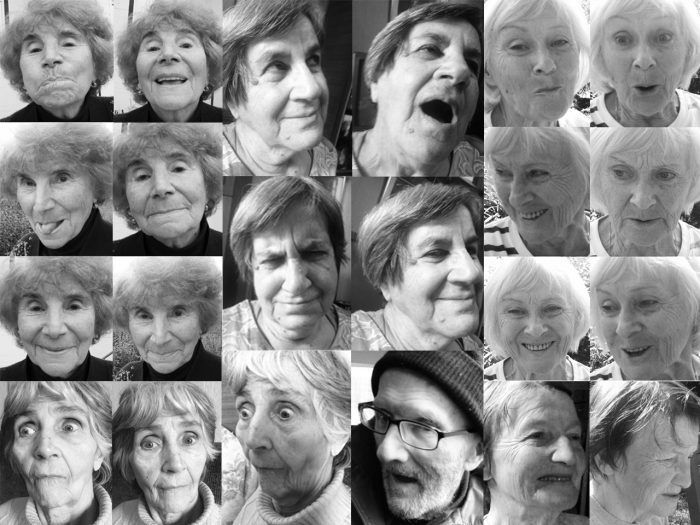 The focus point of Antonina’s research were the facial features of old people, their charismatic gestures and the great variety of ways to express human emotions. 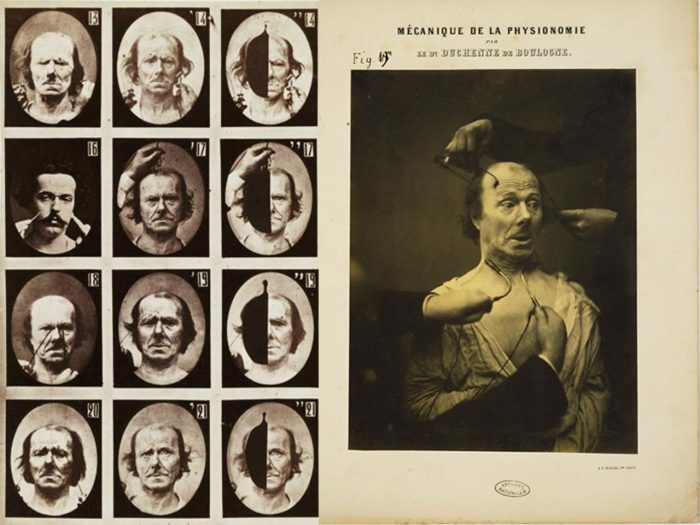 During my research I discovered a French neurologist of 19th century – Duchanne de Boulogne, who believed that facial expressions directly linked to the soul of a man. 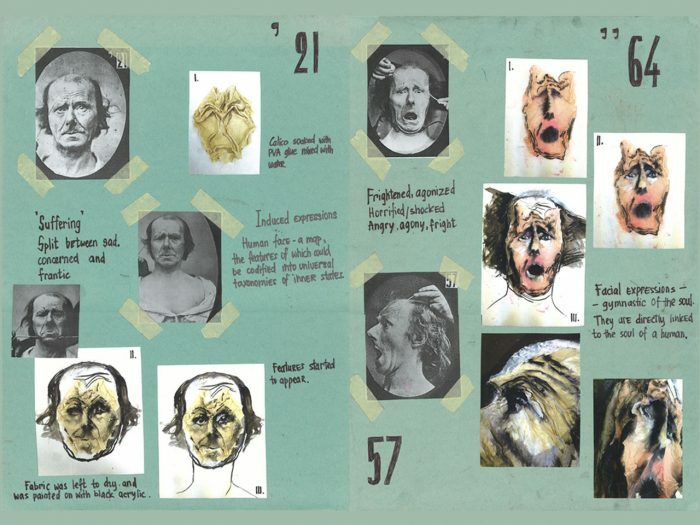 “Every face could become spiritually beautiful through the accurate rendering of his or her emotions” – Duchanne de Boulogne. 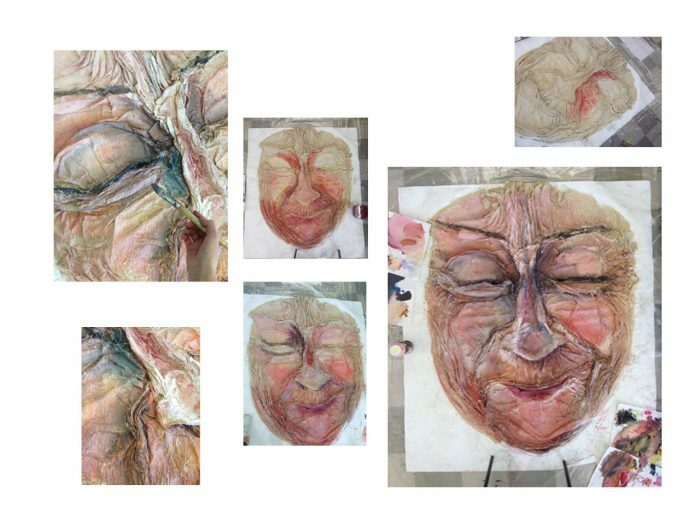 I have started working with fabric as well, in order to understand the facial structure better. As an artist I was always very interested in studying people’s faces, and exploring them by making a lot of drawings and sketches. So I decided to create my own experiment by interviewing models and capturing their true emotions with camera. All the people I have captured on every portrait are real people. Some of them are my family members, half of them are not alive anymore. Purposely I used a very big format for each image, because that way it creates two different angles at which the viewer can experience not only the power of human expression, but also he or she could have a closer look to the actual painting, scan the surface of it. I was using different materials: charcoal, acrylic paint, markers, pens, pencils, watercolor. I was experimenting with the 3D surface, using just the simple cotton, but impregnating it in PVA glue, which gave me the perfect material for playing with the shapes. While it was still wet, I could create any line and curve I intended to and then after couple of hours, when the material became stiff, I covered it with the paint to create more definition. The GRIMACE exhibition were presented in Aalto University in Media Lume Center in December 2016. 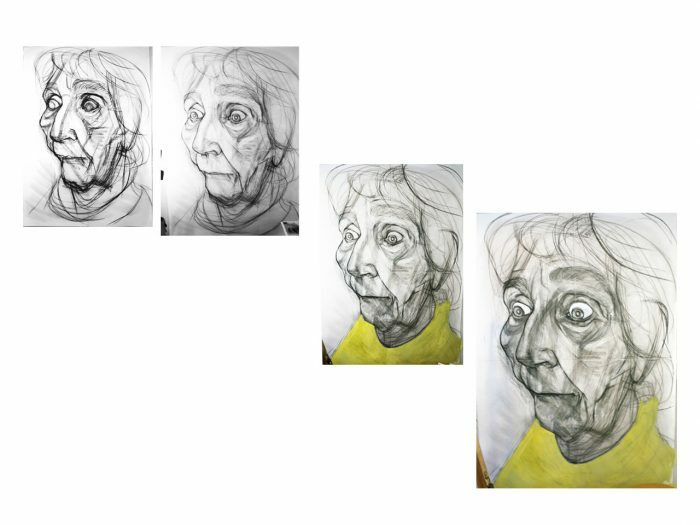 There were 12 big drawings and 1 textile portrait. At the end of the interview each of them made a Grimace face. All of Antonina’s portraits can be found on her website, as well as previous fashion and art projects. You can also connect with her through her instagram and facebook accounts.